[Reilly] plays like a man on a mission, the forward lean of his time and the searching, even 'yearning,' quality of his melodies inviting the listener to join him on a great adventure. "A man's reach must exceed his grasp, or what's a heaven for?" 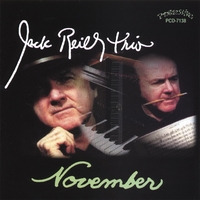 Pianist/composer Jack Reilly is a creative spirit whose temperament matches that of an indomitably positive, life-affirming major poet such as Robert Browning. Seeing obstacles as challenges, set-backs as opportunities, and failures as mere preludes to success, both artists embrace a creed that insists on going for broke, and doing so with gusto. Because of living every moment to the hilt, Browning could say about his later work, "all we perceive and know becomes the product of a moment when a soul declares itself by its fruit, the thing it does!" For Jack Reilly, that moment has arrived, and the harvest is not only bountiful but delectable. Innocence: Green Spring Suite (Unichrom, 2007) is an ambitious, wholly engaging musical odyssey based on the pianist's recovery from life-threatening cancer while receiving treatment at Johns Hopkins' Spring Green Station. 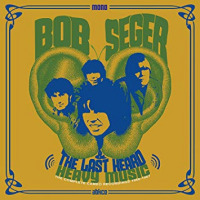 But the two-disc package, comprising twelve movements and an encore, is also about his journey as a musician and a powerful testament to his lifework. 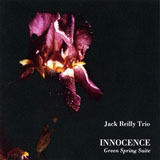 Performed by Reilly with his trio in concert at St. Cyprian's Church, London, three days before Christmas in 2004, Green Spring Suite is not simply a finished product but, as is the case with any true jazz musician, an ongoing project. Along with the early inspirational source of the work, the primary thematic motives, overall structural design, and number of movements have been securely established beforehand, yet creation is necessarily in the momentextemporaneous, charged with suspense, responsive to the music maker's moods and ideas as well as the audience's receptiveness. As a result, the work is as perpetually scintillating and fresh in performancea shared experience between creator and listeneras it is impressive in its musical architecture. There's no way that Reilly, advanced in his musical thinking though he may be, could be an expert in the harmony of Bill Evans (The Harmony Of Bill Evans, publ. Hal Leonard) were he not at heart a "romantic" (obviously not an incurable one) and, above all, a supreme melodist. 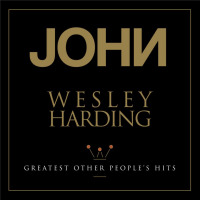 Moreover, he was in part inspired to compose the work by and for the members of a Southern Baptist Church, more accustomed to the tunes in the Sunday morning hymnal than to "art songs" and serious instrumental music, whether classical or jazz. In fact, if comparisons must be made, the music on this live session exhibits much the same balance between "difficulty" and accessibility as Keith Jarrett's ever-popular Köln Concert. Reilly thinks in pairstwo hands improvising in counterpoint, Chopin and Ellington as a piano duo (as demonstrated by Reilly on this video), and two or more sets of audiences coming from different musical worlds. Readers of William Blake's oft-quoted Songs Of Innocence soon become aware that the poems can be read at many levels, from children's tuneful recitations to ironically loud and angry protests against the perverse and misguided uses of human reason. Perhaps Reilly had something like this in mind in entitling his work Innocence: Green Spring Suite. The first movement, "Gettin' Through It," opens with portentous octaves, yielding to thick-textured, brooding mid-register harmonies before closing on a consonant major chord and stressing the light and sparkling sonorities of the piano's upper register. 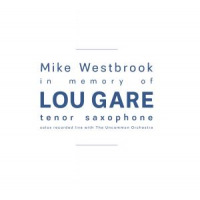 In a similar fashion, each of the ensuing movements offers moments of peace and joy, the lightness of being ultimately prevailing over the heavy textures, percussive sections, and occasional ponderous moments. The harmonies are tonal throughout, shifting between traditional and modern voicings and progressions as knowingly as Schoenberg's moving from the inviting nineteeth-century harmonies of "Transfigured Night" to the turbulent tone rows of Moses Und Aron. A piece reminiscent of a Bach two-part invention, or a chorale suggestive of a polytonal Bartok construction, will suddenly resonate with the sweetness of a Chopin nocturne or berceuse. The third movement, "Oncological," practically belies its title with its forward-moving energy alternating with rich and soothing moments of respite. Above all, the pianist maintains the life of the whole in each movement. He freely improvises in three or four sharps (anathema to many flat-addicted jazz musicians) for a brighter sound. Out-of-tempo and slow sections are widely outnumbered by sprightly, up-tempo sections played "in time" and in numerous rhythmical guises4/4 swing, 3/4 jazz waltz, march time, Latin jazz. The pianist's considerable technique, while never calling attention to itself or detracting from musical meaning, allows him to alternate among single-hand "horn-like" lines, two-handed contrapuntal as well as unison octave passages, and widely-spaced, dynamically-varied chordal textures. Reilly is not the type of pianist to settle into a laid-back "groove," blow a few choruses, then yield to a bass solo, capping the tune by trading some 4's with the drummer. He plays like a man on a mission, the forward lean of his time and the searching, even "yearning," quality of his melodies inviting the listener to join him on a great adventure, with each of the twelve movements representing a self-contained, rewarding quest in its own right. This approach requires an extraordinarily empathetic, responsive rhythm team, and Reilly is indeed fortunate to have bassist Dave Green and drummer Steven Keogh. Their role is less that of independent voices than extensions of the pianist/composer's musical conceptions. Frequently, the listener is scarcely conscious of a protracted hand-off from piano to bass to drums, especially with the pianist's busy, jabbing accompaniment maintaining the established character of the piece. The pair especially come to the forefront during the second half of the concert, which overall finds the trio more comfortableassertive and loose. On "Jacobias Mia" both Green and Keogh contribute sportive pirouettes, and on "Gobaj," which alternates among rubato, driving 8ths, and 4/4 walking bass passages, Keogh finally exchanges his brushes for mallets and sticks, underscoring and even supplying the thunder and turbulence of a key dramatic moment if not climax in the Suite. "Quartel Fields" finds Green's arco bass and Keogh's imaginatively deft percussion joining with the pianist in an exquisite, rhapsodic tone-poem, the piano arpeggios and resonating large cymbal sweeping up the listener on buoyant waves of sound. 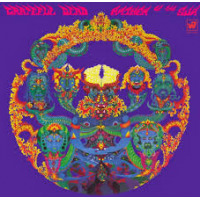 "Solieux," the penultimate movement, creates tension in its harmonies and Fury-unleashed tempo, before opening onto the vista of the finale, "Blues For All," which opens in tentative, exploratory mode before settling into a straightforward and funky blues in F, moving from single-note melodic lines to percussive block-chords reminiscent of a blues played by Dave Brubeck (an admirer of Reilly). The paradoxical joy that every true musician finds in the blues is at once an emotionally-felt truth communicated to the audience (made abundantly clear on the recording) as well as a fitting metaphor for the patient who has come through the ordeal of cancer and lived to play about it. The audio quality on Green Spring Suite is pristine, preserving the ambient sound of the spacious sanctuary of the performance while capturing the clear and natural, easily distinguishable pitches of Green's acoustic bass and the crisp brushwork of Keogh's percussion. Most importantly, each of Reilly's phrases, voicings, and accompanying motifs is up-close and crystalline, regardless of texture, volume, and register. Musicians often develop attachments to particular songs that they are fond of revisiting throughout their careers"What Is This Thing Called Love?" always intrigued Lennie Tristano; "My Romance" had a similar hold on Bill Evans; Marian McPartland has confessed to a long love affair with "Memories Of You." 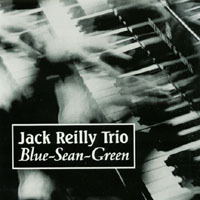 In the case of Jack Reilly, "Willow Weep For Me" has become a kind of signature piece, and he plays it on the final track of the second disc as an unaccompanied encore. This reviewer had always found the tune somewhat slow and tedious, even bordering on stagnation, until hearing it played by Reilly, who can also be heard interpreting the tune on The Brinksman (Unichrom, 1981). 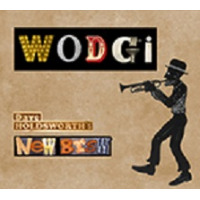 As performed by Reilly, the ballad acquires welcome vitality and, as the response of the audience on the recording demonstrates, irresistible momentum. 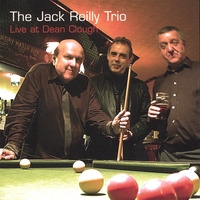 That motion is still very much in play, as can be heard on The Jack Reilly Trio: Live At Dean Clough (Unichrom, 2007). A listener could be forgiven for questioning whether a sequel could equal the poignant drama comprising Green Spring Suite. But for a musician like Jack Reilly, it's always about the inseparability of music from life, and the stakes will consequently be high. In fact, you can count on it. 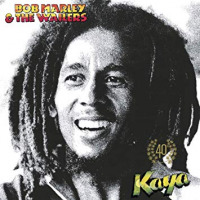 Tracks: CD1: Gettin' Through It; Two Me; Oncological; Rn't Any; Caroline; One For Tammy; CD2: Jacobias Mia; Gobaj; Quartel Fields; Solieux; Phil Form; Blues For All; Encore. 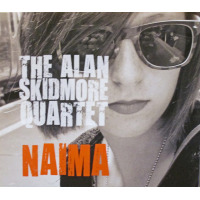 Personnel: Jack Reilly: piano; Dave Green: bass; Stephen Keogh: drums.